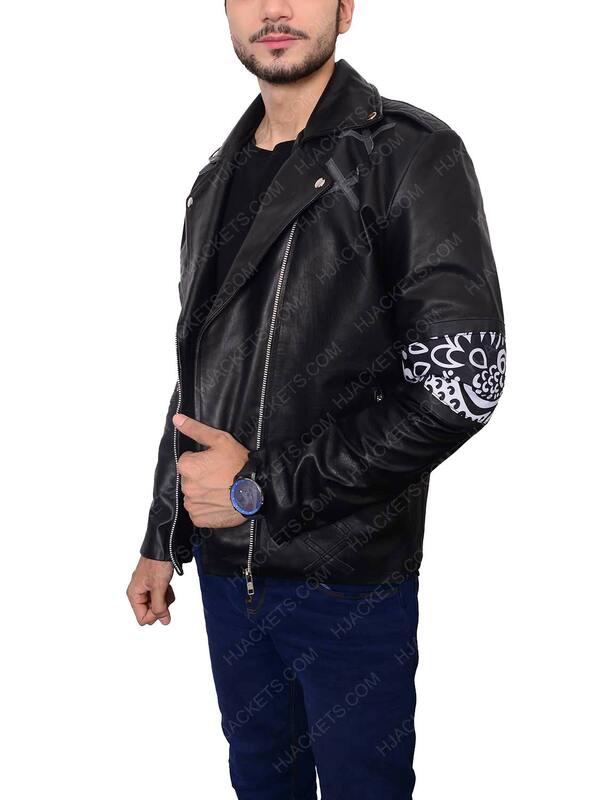 An elegant fashion piece is made up of real leather. 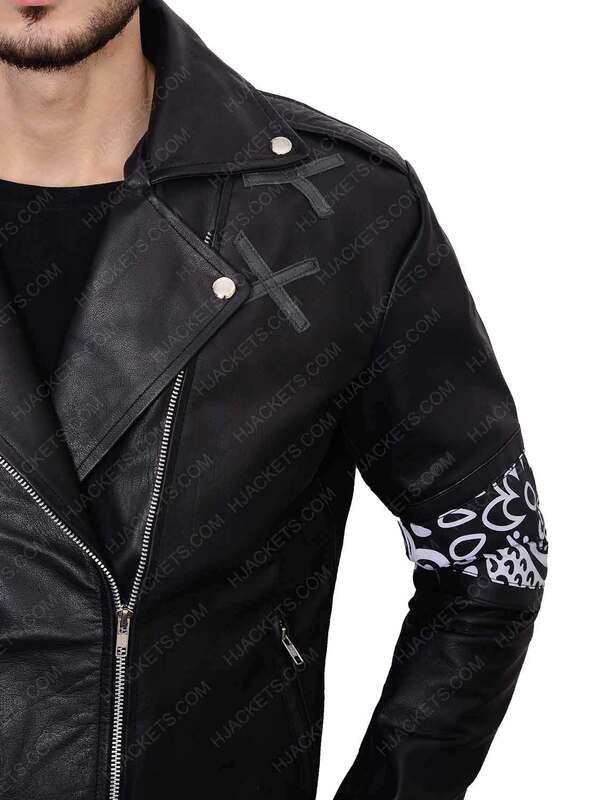 Studded Notch collar has given this jacket more admiring look. Black colors has given it more glorious look. 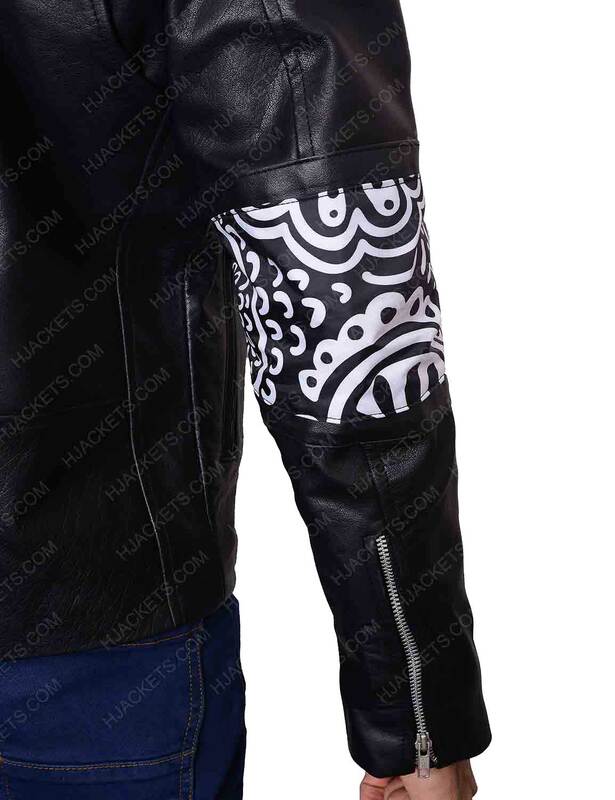 Designers have embossed asymmetrical zipper closure for appealing look. Inner viscose lining has stitched inside to make you comfortable. It also have long sleeves with zipped open hem cuff. 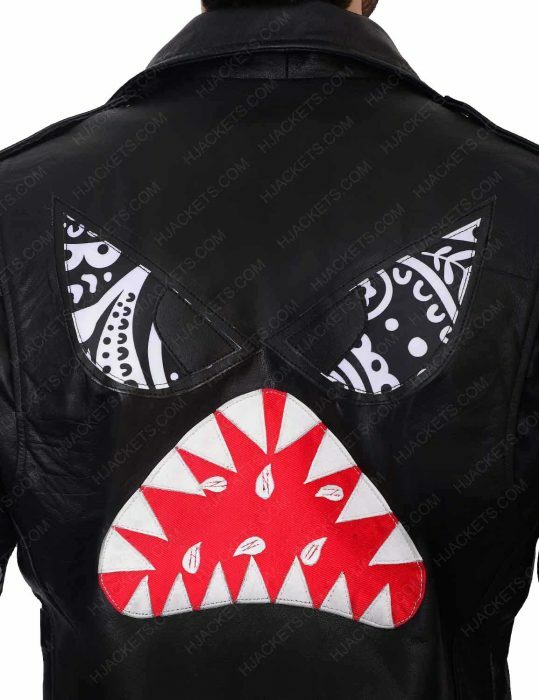 Full back instant crush shark embossed. Embroidery on bicep has given craziest look. For all those fashion forward guys who wanted to rule the world of fashion. 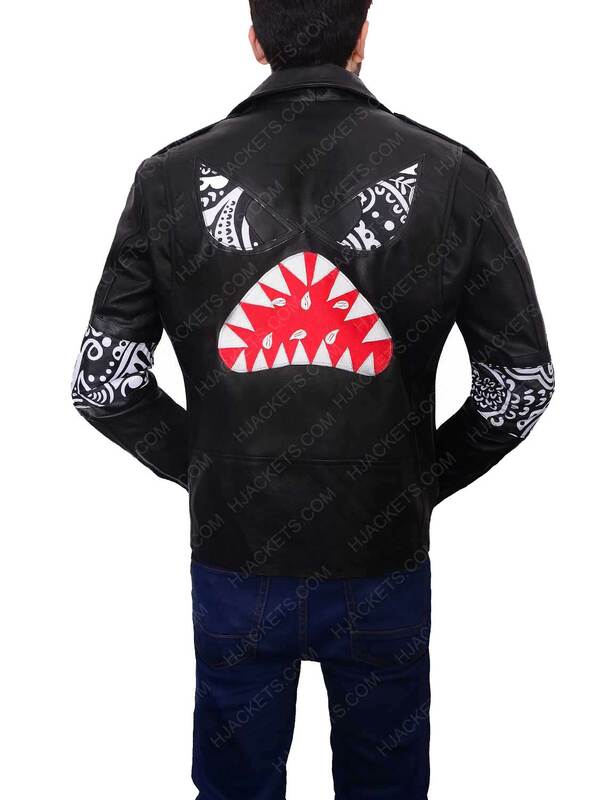 We are introducing a craziest daft punk instant crush shark jacket for them. So come on open the door and let fashion waives in. 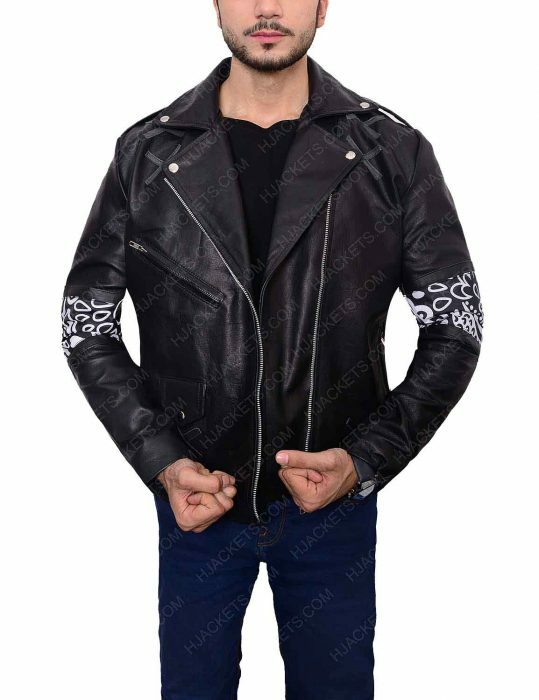 The daft punk instant crush shark leather jacket is featured with the premium quality material that can be last for many years ahead in your wardrobe. It have studded notch collar that will make every masses mouth open in upcoming parties. As we call are aware that black colors always shine darker, so it is a best gift for those who love to attire the black color. Our skillful craftsman has embossed asymmetrical front zipper closure with long open hem cuff with zip closure. Viscose lining will help to absorb your moisture and will keep you ease and comfortable throughout the day. The jacket’s back is embossed with instant shark picture and biceps with the craziest embroidery. Not only in causal gathering, but you can also attire this amazing outfit in any gathering of your friends and parties. Satisfied! No complaints at all. It is the quality item and good deal for the money. My husband loves this jacket. It fits well and is warm. 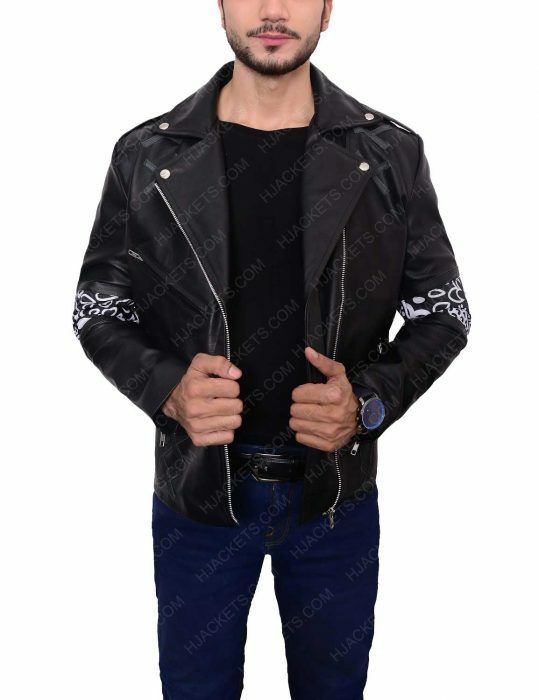 The jacket is well made and a great value. So far customer service has been helpful in helping us to select the best fitting apparel. I feel bit smell from the leather but it is fine, I will hang it outside for 2 or 3 days. Other than I am really happy with my purchase. My husband was also happy with his gift and he was saying me to buy another stunning piece on the upcoming special event. Satisfied!